I have often warned about the dangers of birth control. I have also on the other hand said that I don’t think it’s all that much of a big deal. Because here’s the thing: birth control is complicated. Obviously the most ideal situation is for no one to be on it. Hormonal birth control very obviously interrupts natural hormonal processes. But as women today we have to make choice. Sometimes, especially in the context of a healthy body and a healthy diet, hormonal birth control is the best we can do (just, I hope, consider getting on the lowest dose possible). That being said, we need to be cognizant of the risks we take, and what we can do to mitigate them. There are 9 crucial nutrients that can be depleted by using hormonal birth control (see an extensive review of which here; free pdf here; you can also find all the source papers for this post listed in that paper’s bibliography). For the most part, I believe that a nutrient-dense diet such as paleo in the context of a healthy gut and a healthy body will ameliorate many of these potential risks for many people. But if you struggle with your health in any other way, are on a high dose pill, or are on the pill for a long time, you may want to seriously consider upping your intake of the 9 nutrients I discuss below. Zinc is an essential mineral that is not only found in several enzymes–which makes it crucial to lots of bodily functions–but it also, notably, is critical for immune system function. It also plays a key role in the metabolism of RNA and DNA, and promotes plasticity (flexibility) in the brain. It is important for immune health, hormone health, insulin modulation, and brain health. 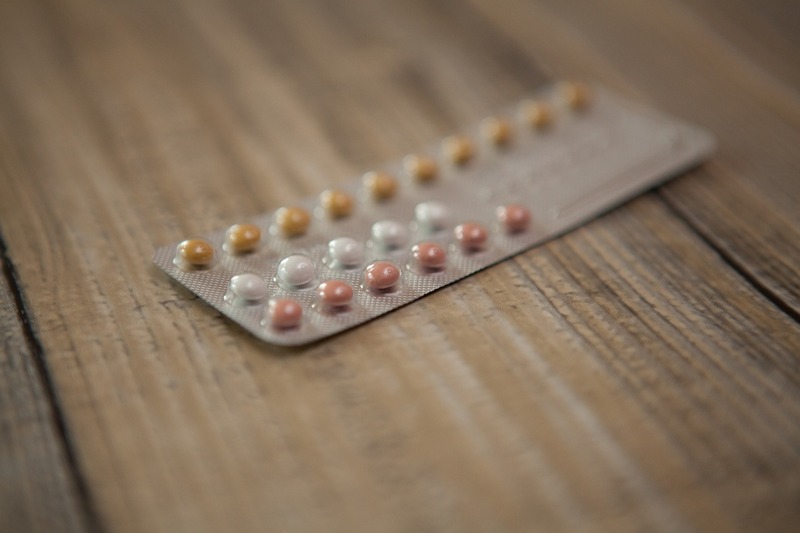 The zinc status of women using birth control has been of concern since the mid 1960s, when scientists noticed that women on the pill has lower zinc levels than women who were not on it. These results have been extensively replicated. The thought is that birth control pills inhibit zinc absorption into the relevant tissues. This is a very big deal – the importance of zinc cannot be overstated. The best sources of zinc are oysters (by almost a factor of ten), followed by liver, beef, and lamb. Turkey and shrimp also have good amounts of zinc. From plants, zinc can be obtained from lentils, quinoa, chick peas, and many kinds of seeds including pumpkin and sesame seeds. Magnesium iis one of the most abundant minerals that plays a role as a catalyst. That is–it is necessary for chemical reactions in the body to take place–more than 300 of them, in fact. For instance, ATP (adenosine triphosphate), the main source of energy in cells, must be bound to a magnesium ion in order to be biologically active. It has been repeatedly shown that women on the pill have lower levels of magnesium than women on it. Interestingly, some researchers hypothesize that this is one of the reasons certain pills have been associated with risks of thrombosis. The pill can disrupt the magnesium / calcium balance in the blood and ergo lead to blood coagulability. Magnesium is important for many other body functions such as blood sugar and insulin management, adrenal health, bone health, and mental health. As important as magnesium is, it unfortunately is no long abundant in the human diet. Research estimates that at least 48% of Americans do not get nearly enough magnesium in their diets. This is in part because magnesium has been depleted from American soils. Unfortunately for paleo dieters, the majority of foods high in magnesium are not on the typical paleo menu. High magnesium foods include mostly legumes, nuts and seeds: soybeans, pumpkin seeds, sesame seeds, quinoa, black beans, cashews, navy beans, sunflower seeds, almonds. Grains are also reasonably high in magnesium. Fortunately for paleo dieters, kale, swiss chard, and beet greens are all great sources. Nevertheless, magnesium is probably one of the greatest “risk” minerals for paleo dieters, which is why I typically recommend supplementing. Selenium is a micronutrient that functions as cofactor for reduction of antioxidant enzymes. This makes it incredibly important for detox processes. It also plays a role in the functioning of the thyroid gland and in every cell that uses thyroid hormone. It is incredibly important for managing thyroid disease, and specifically Hashimoto’s. Hormonal birth control inhibits selenium absorption. For example; Heese et al conducted a study involving 200 female students, half of whom had been taking low-dosage triphasic pills for at least 3 months. They had significantly less selenium than control students. The amount of studies conducted on selenium is not as robust in other areas, but it points to a serious issue worth considering. This is especially important considering that selenium has been suggested to have a beneficial role in the prevention of cancer, especially breast cancer. Fortunately for paleo dieters, many animal sources of protein are great sources of selenium, particularly seafood. Shrimp, sardines, tuna, and salmon all have whopping doses and can meet a whole days need; other protein sources like chicken, turkey, beef, eggs, and lamb are also good sources. Mushrooms, barley, mustard, and asparagus are the best plan sources of selenium. As an antioxidant, vitamin E helps protect the body against oxidizing damage. This can come from inflammation, from radical oxygen species, from trans fats, from the combination of eating too much fructose and PUFAs, and from consuming burned food, to name a few examples. Antioxidants help protect against this truly destructive damage. Most of the studies conducted on hormonal birth control and vitamin E have so far been conducted on rats. It significant lowers their serum vitamin E levels. One of the few studies done on humans noticed a significant decrease in the health of platelet clotting in women on birth control pills; this problem went away once they supplemented with vitamin E.
Vitamin E is unfortunately another one of those nutrients dominated by seeds and legumes. Sunflower seeds top this list, with wheat germ, hazlenuts, almonds, and peanuts also on it. Avocadoes are a great source of vitamin E and probably one of the best for paleo dieters. Leafy greens are also very high in vitamin E. A salad topped with avocado slices is a haven of vitamin E.
Vitamin C is crucial for immune system health, for the manufacture of neurotransmitters, and for adrenal (stress system) health. Scientists hypothesize that birth control pills — and especially ones containing estrogen — increase the rate of vitamin C metabolism, which decrease its quantity in the blood. This is probably the nutrient least at risk by birth control pill usage, but it is still important to make sure you get enough, especially if you have gut issues or other health problems. Leafy greens, other vegetables, and all fruits (yes, citrus, but others too!) all have high quantities of vitamin C. If you are a paleo dieter but don’t go heavy on the veggies you may want to consider upping your dose. Vitamin B6 coenzymes are crucial for many bodily functions, most especially protein metabolism. It also helps synthesize neurotransmitters, and is especially crucial for the production of serotonin. Hormonal birth control has been under fire with respect to B6 since the 60s, when it was found that women taking pills has evidence of a vitmain B6 deficiency — in fact, 75% of women taking birth tcontrol pills may have insufficient B6. Since low B6 is associated with thrombosis, this is another reason (along with zinc) that birth control pills may be associated with blood clotting and other coagulation risks. Many sources of animal protein, such as turkey, chicken, beef, tuna, eggs, and salmon, are all high in B6. Plant based sources are sweet potatoes, potatoes, spinach, other leafy greens, bananas, peppers, and garlic. Vitamin B12 (also known as cobalamin) is an essential nutrient for many things, but perhaps most of all liver support and detox. Several studies have found low mean serum vitamin B12 levels in women using birth control pills, even though the mechanism is not yet understood. Vitamin B12 is fortunately very rich in pretty much all animal protein sources, especially liver. But beef, lamb, poultry, seafood, and eggs all have fairly abundant B12. Dairy also has a reasonable amount of B12 in it. If you are a vegetarian, and especially if you are a vegan, you will need to supplement with B12. As early as the 1960s, folate status has been a concern for birth control researchers. Women who are on hormonal contraception tend to have lower levels of B9; it seems as though when they start taking it folate levels decline linearly – but then levels do bounce back up. The mechanism for this is not quite known, but it seems as though excretion of B9 may be an issue, or malabsorption. Folate probably is not an issue by itself on the pill–it will not cause anemia all on its own; but if you have other health issues (especially anemia) then this is cause for concern. It is important to get foods with real folate in them – folic acid is a synthetic compound added to foods and is not as supportive of real health as true folate is. To that end, good sources of folate include seafood, beef, and poultry. Legumes come second on this list, as do asparagus, spinach, broccoli, and other leafy greens. Vitamin B2, also known as riboflavin, is necessary for energy production and normal cell function and growth. Riboflavin deficiency is common in women of child-bearing age and of a low socioeconomic level. Using hormonal birth control exacerbates that problem. Studies have shown that vitamin supplements remediate riboflavin issues in women taking the pill. Altogether, these findings suggest that vitamin B2 supplementation in women taking OCs may be important where vitamin nutrition is poor. Greens, eggs, turkey, other sources of animal protein, and plant protein sources such as beans and legumes tend to be good sources of vitamin B2. With a diet rich in animal products, vegetables, and fruits, B2 should probably not be a problem to obtain enough of. Not many sources of B2 are excellent sources, but there is a wide variety of foods which contain a decent amount of it. And thus with vitamin B2 I bring this list to a close. All in all, for many of these nutrients, a healthy diet will be enough for many people. But if you suffer from other health conditions, are a vegetarian, have a history of health problems, or otherwise suspect you may be deficient in any of these nutrients, it may be wise to eat strategically or to consider a low dose supplement. It isn’t easy as a woman in today’s world, trying to navigate birth control options while also taking the best care of yourself possible. I hope very much so that this list will help. I would love to hear what you think of ! If BCP causes malabsorption, wouldn’t it mean that no matter how much of these foods you eat, you’re still not going to absorb what you need? In that case, isnt the only conclusion to go off of hormonal birth control? Would e.g. sublingual supplementation (or dermal spray in the case of magnesium) perhaps be better then? Since presumably the malabsorption referenced relates to the gut.